Getting into people’s little secret recipe is my favorite work recently. So I did dug out the best for you. 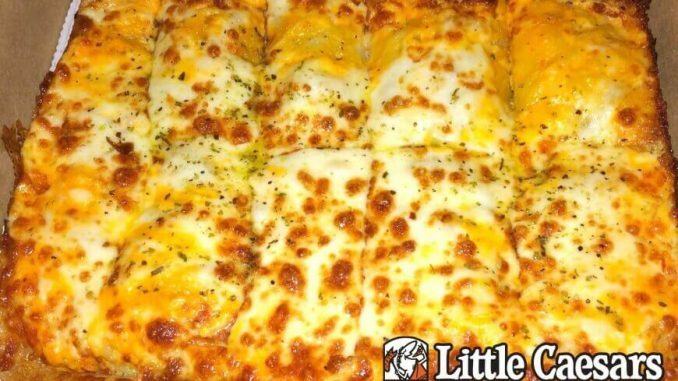 So where ever you are and you miss the little part of Little Caesar’s, serve yourself then! Make Little Caesar’s Zesty Jalapeno Cheesy Italian Bread with this easy description to kick-start the joy of your life. Little Caesar’s pizza restaurant is famous for their crazy bread. Another bread that they make well is their Cheesy Italian Bread. Homemade Little Caesar’s Cheesy Italian Bread replicates that recipe well. It’s cheesy it’s garlic-y it’s pure bliss. There are 140 calories in a Cheezy Jalapeno from Little Caesars. Most of those calories come from fat (92%). Roll out pizza dough to size of your baking pan. I used a rectangle stoneware pan. Line pan with foil and brush with about 2 Tbsp melted butter. Mix remaining melted butter with garlic seasoning. Brush crust with garlic butter and top with cheese. Bake at 375 degrees for 25-30 minutes until golden brown. Slice and serve. Serve it with pizza, pasta, chicken, or whatever else you desire. You could even serve it alone or as an appetizer. However you serve it, know that it will go fast. Make sure to grab a piece before they all disappear. Little Caesars Zesty Jalapeno Cheese Bread discontinued which gave major set-back to Jalapeno Cheese Bread lovers. Although it wasn’t that much healthy but it served its purpose well as a good weekend snack.